Apple Watch owners who don’t mind parting with money in favor of luxurious personalization now have something additional to look forward to. Lovers of luxury products rejoiced when Apple initially announced a partnership with Hermès to produce a unique range of bands for the Apple Watch. With that said, the only real way to get your hands on one was to purchase the band and Apple Watch together as a single package. Apple has now announced that all of that is about to change with the introduction of a new range of standalone Hermès bands designed specifically for the company’s most personal product yet. If you already own an Apple Watch, but wanted to personalize it with the luxurious look and feel of a Hermès band, then the only real option was to either purchase a band with a Hermès edition Apple Watch in tow, which just adds an unnecessary and hefty expense when you already own the hardware. 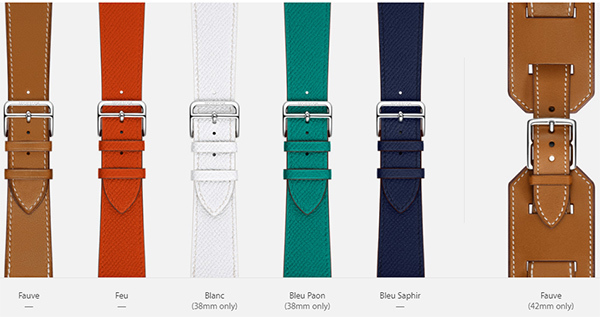 The second option involved purchasing a knock-off band designed to replicate the look and feel of the Hermès experience. Apple has recognized the need for its existing Apple Watch customers, and as such will start selling individual Hermès bands for both the 38mm and 42mm model from April 19th. 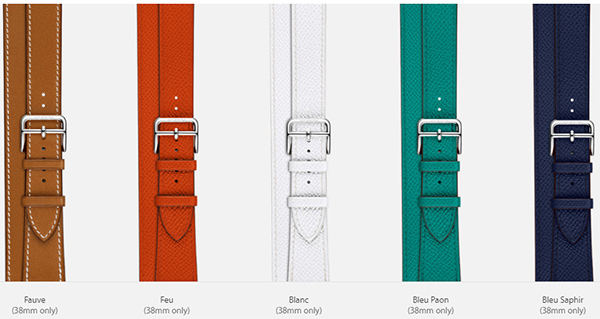 The introduction of this new range not only means that consumers can purchase bands on an “as and when” basis, and on their own terms, but can also choose from an extended range of new colors rather than having to settle for the Fauve brown option. Apple will offer the standalone Hermès bands in a Double Tour, Single Tour, and Cuff band style. The colors will be as following: Fauve, Feu, Blanc, Bleu Paon, and Bleu Saphir. It’s worth noting that not all of the new colors are available for each model and style of Apple Watch chosen. The entire Double Tour range of bands plus the Single Tour band in Bleu Paon and Blanc shades will only be available for the 38mm Apple Watch. Owners of the 38mm model will also be able to pair up the Watch with Single Tour bands in Fauve, Feu, and Bleu Saphir colors. Those with the 42mm of the Apple wearable will have slightly limited options and will be able to grab the Single Tour band in Bleu Saphir, Feu, and the usual Fauve for their wearable. 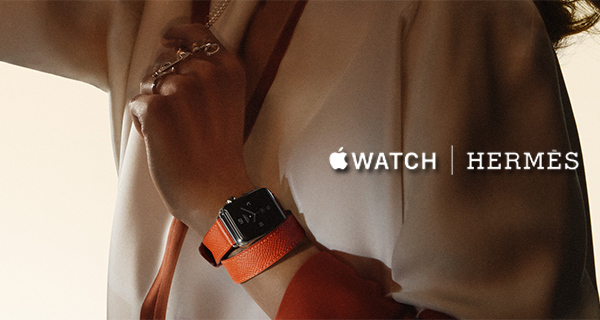 The Cuff band meanwhile will only be available for the 42mm Apple Watch in Fauve color. Those interested can also expect to pay a premium for the reputation increase that comes from owning one of Apple’s luxuries bands from Hermès range. Single Tour band will start from $340. The Double Tour solution will command a $490 price-tag, and the Cuff band will retail for a whopping $690. All bands are set to go on sale this coming April 19th.